Running out of propane in an RV is not fun. First, you have to find a nearby (hopefully) business who has a propane refill station. Then you have to “unhook” your RV from electric, sewer, satellite, etc connections, pull in the RV slide outs, and drive to the refill station. Did I say it’s a PITA? It is. To avoid this I had a local propane dealer install a “Propane T” on our RV propane tank that allows us to hook up an external propane tank. Very handy. 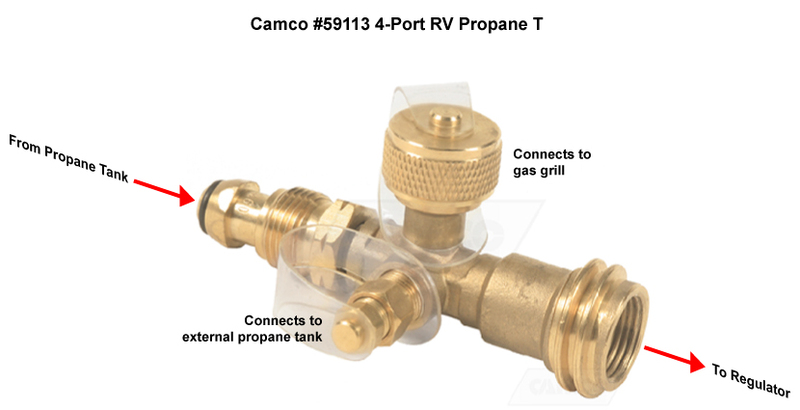 Instead of taking our RV to a local propane station, we can just connect a small propane tank — which you can buy nearly anywhere — to our big tank. Well that sounds wayyy convenient. What’s a PITA? We need indicators on our tanks when they’re getting low and keep a spare in case we run out while grilling. Next we need an old lady friendly way to install that tank under a grill.